We talked recently about how much student debt there is, but not about why every wealth manager will tell you that getting rid of this debt is a must if you want to keep a good credit score: that’s where these 3 tips to maintaining good credit come in. Keeping up to date with student loans means paying them off on time and giving you the opportunity to build your credit. And that can mean lower rates when it is time for a big ticket purchase like a home or car. Know the details. Different loans come with different terms and conditions, and it is important to know the details of yours. Late fees can add up and can make it take longer to repay your loan, so paying any sum on a timely basis can help avoid fees and chip away at the daily accrued interest. Be smart about your repayments. It is in your best interest (pun intended) to pay off the highest-interest loans first, regardless of their grace periods. While your subsidized federal loans don’t accrue interest while you’re in school, most other loans will. Manage your borrowing. Here’s a tip from the U.S. Department of Education: Borrow only what you need to pay for your college expenses. First, create a budget to see how much you’ll need to borrow. If you can take a loan out for less than what the maximum amount is to borrow, you have less to pay off in the long run. And always stay in touch with your creditors if there is a problem and you think you might fall behind on payments. If you contact them immediately, they will be more receptive to set up an alternative payment option. 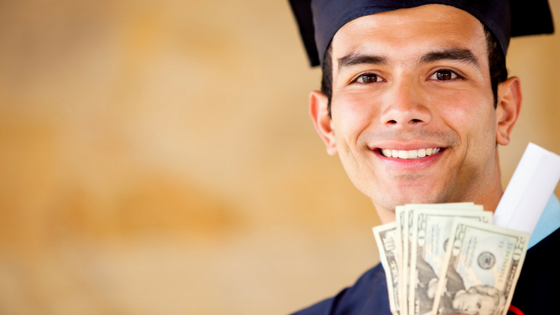 If you’re struggling with student loans, Mooney Lyons Financial Services can help. Give us a call at 847-382-2600 or visit us at mooneylyons.com for more information.